Badanekayi is what we call brinjal or eggplant in Kannada. You might be interested to know that brinjals have many health benefits . They are used in a wide variety of dishes in Indian vegetarian cuisine. 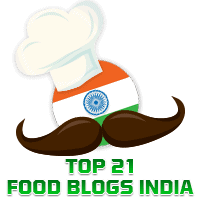 Elsewhere in this blog, you will find recipes for brinjal dishes from various states like Hyderabadi Bhagara Baingan, Barli Vaangi, and Vaingana Puddi Sagle. Today's recipe is for a dish very famous in North Karnataka. The name "Yennegayi" comes from two Kannada words, "Kayi" or vegetables cooked in "Yenne" or oil. It goes best served as an accompaniment with akki rotis, jowar rotis etc. I am thankful to Girija Hosakote Ramiah for sharing her recipe. Serve hot as an accompaniment for jowar roti, akki roti etc.